What does Labor Day mean to you? Is it time to savor those last few minutes of summer? Is is time to celebrate with friends? Or is it time to take advantage of a BIG sale? 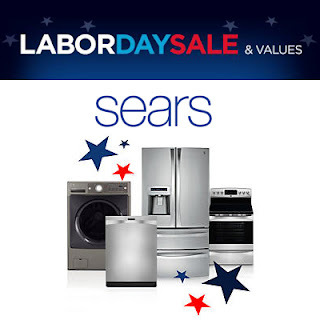 Sears is kicking off the relaxing holiday with a Labor Day kickoff sale (perfect for those going out of town this weekend)! Get ready to kick up your feet & kick off Labor Day weekend with an extra 5-15% off your online order from Sunday 8/25 through Wednesday 8/28. Don’t worry, if you miss the kickoff sale (or just want to buy more) Sears is celebrating with an official Labor Day Sale where you’ll get an extra 5-15% off online Sunday 9/1 through Tuesday 9/3. As always, ShopYourWay Members will get exclusive member only deals. Now who is ready to relax & save?